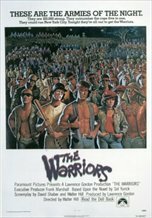 It's hard to judge to movies with almost nothing to compare between them., In this case I have to go with The Warriors just because it has stood the test of time. I think Mr. Holland will too, but we'll have to wait and see. Shoot, I've never seen either of these. "The Warriors" is pretty high on my list though.